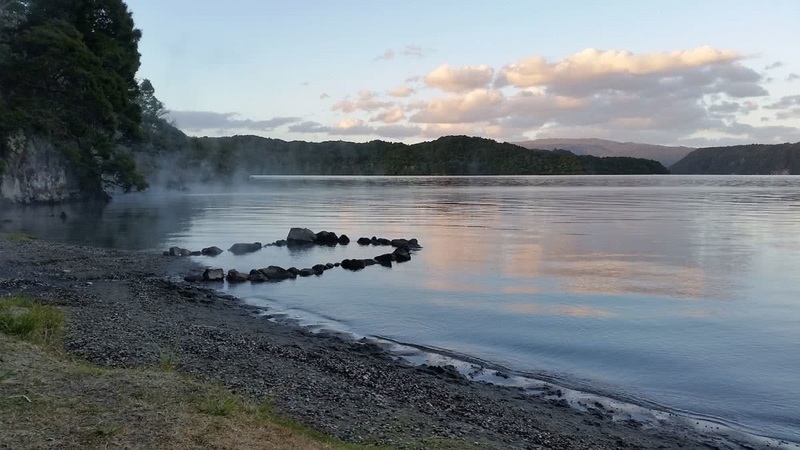 Brooke arrived in Rotorua on New Zealand’s North Island with one aim in mind. To find an overnight hike. 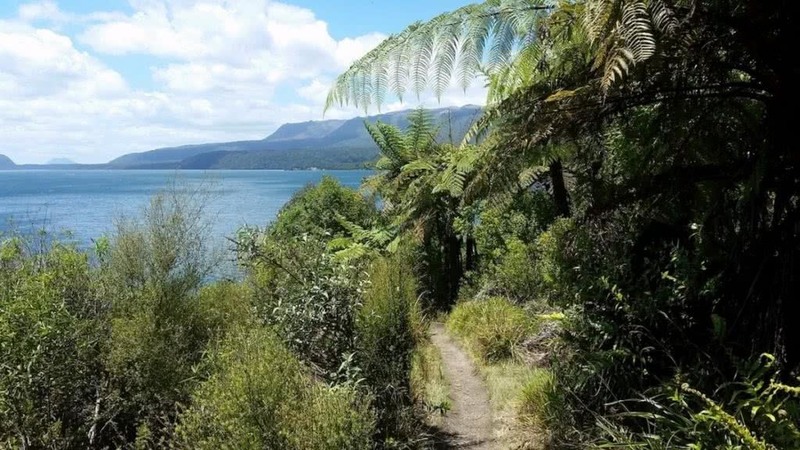 The Tarawera Trail looked ideal. Up until this point I’d only ever done day hikes and with the South Island’s Kepler Track and the Overland Track in Tasmania booked for a few short weeks later, I needed practice. And I needed to see if I could actually carry that 60L backpack any further than the car. 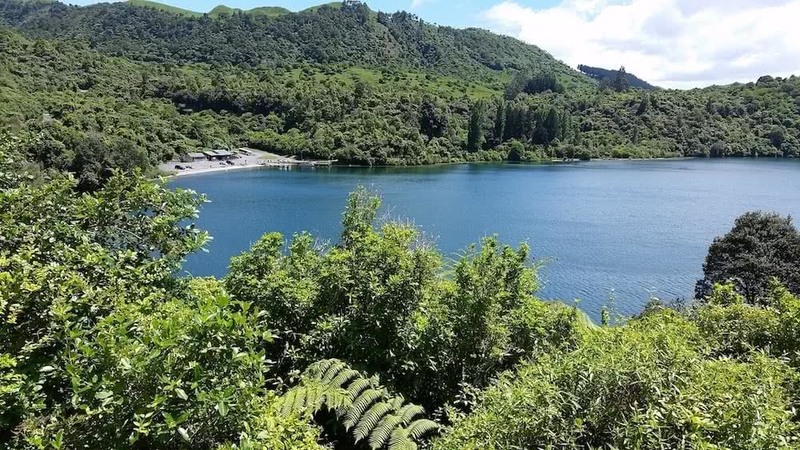 Built in partnership with the Department of Conservation (DOC) and several private Maori land owners that border Lake Tarawera and the Te Wairoa Valley, the Tarawera Trail opened officially in 2013. Although it’s yet to gain the popularity of New Zealand’s other walks, I’m sure it won’t be long until it does. At 15km one way and an elevation gain of around 600m, it turned out that the Tarawera Trail offered the perfect first over-nighter. The trail was clearly defined, with some steep and challenging sections that kept it varied and put my ‘can I carry this bag’ question to the test (I could — just). 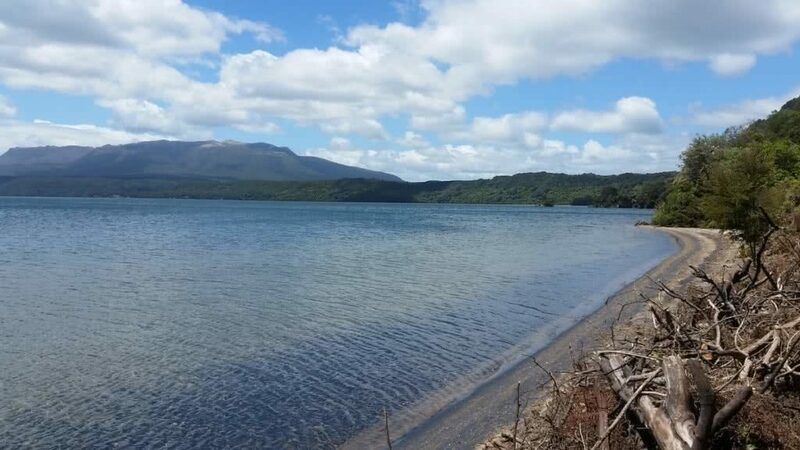 The views of lush green valleys and contrasting bright blue of Lake Tarawera gave some beautiful photo opportunities made even better by the perfect weather. At the end, you arrive at Hot Water Beach Campsite, located on the shores of the lake. This is a geothermal area which means there are natural hot springs under the sand which provide a relaxing, hot swim. Perfect to ease the muscles of tired hikers. After soaking and swimming for a while I set up my tent for the evening, cooked up some food, and watched the sun go down over the water. The next day I hiked out, but if you’re not a fan of walking the same trail twice you can book the once-a-day boat back to civilisation. Be careful of the sand flies and mosquitoes. Despite bringing myriad things I didn’t actually need (rookie mistake there) I forgot my bug spray. I woke up with more bites than I can actually put into words. So, please, please, learn from my mistakes and do not forget yours. 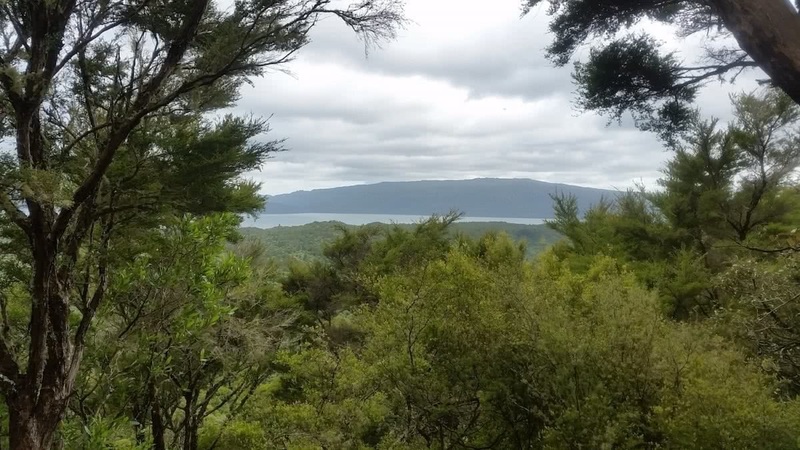 The trail starts at Te Waiora car park on Tarawera Road, a 15-minute drive from Rotorua past Blue Lake (Tikitapu). A water taxi is available to ferry passengers from the end of the track at Hot Water Beach to Tarawera Landing, approx. 5 km from Te Waiora carpark and you need to make your own arrangements between the landing and the carpark. Pre-booking the water taxi in either direction is essential.